The last 2 weeks on Norfork Lake has been very interesting to say the least. We have gone from great spring weather, to cold fronts, to a major rain event which increased the lake level to the top of the flood pool. 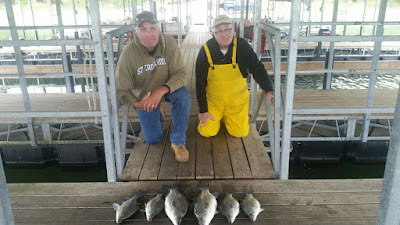 Fishing was fantastic up through last Saturday morning then the severe weather started to impact the lake. Norfork Lake started rising a foot an hour at around 5 PM Saturday and continued to rise until the flood gates on the dam were opened to increase water evacuation. As of today, the lake is stable and is slowly falling and is currently at 578.65. There is still some floating debris, but a lot of it is starting to blow into the shoreline and as the lake drops it will get hung up in the flooded trees. The lake is navigable, but when out on the lake be very cautious and observant of floating debris. The water north of the 101 and 62 bridges is still dirty and the clearer and stained water starts just south of the 101 and 62 bridge. Hummingbird Hideaway Resort is in great shape and open for business. Our dock is easily accessible with electric and the fish cleaning station still in operation. 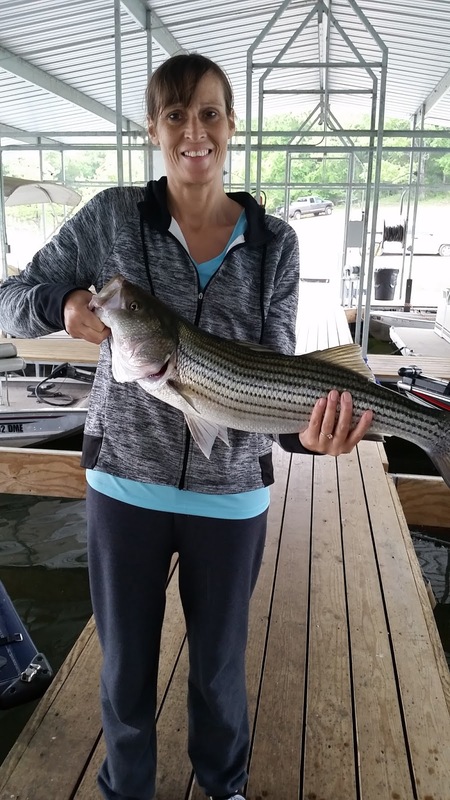 Now for what I know about current fishing conditions on Norfork Lake. The flooding of normally dry land, has forced nightcrawlers to come to the surface and the fish are starting to have a feast. 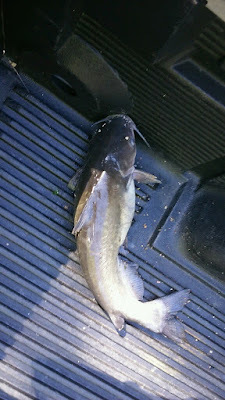 If you are a catfisherman the combination of dirty water and a large supply of worms is ideal to catch many cats. I have had guests fishing from the shoreline off of a flooded roadway below our resort and landing some nice catfish. Limb lines and trot lines will also be a great method to catch big numbers of cats. Today a couple of our guests ventured out on the lake after sunrise and found some clearer water. They were fishing with shiners and caught a nice smallmouth and largemouth bass. If you can find a flooded field or cow pasture that had been grassy you will clean up on bass feeding on nightcrawlers and crawdads. 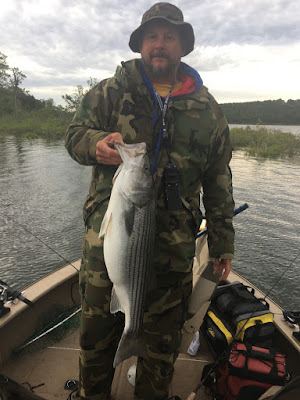 Each stable day will help increase the bite and get the fish very active. I have not heard a lot about striper fishing since last weekend's rain, but from prior high water experience you will need to find the clearer water. Shad will be in the trees and the stripers will be on the edges of the flooded trees feeding on the shad. 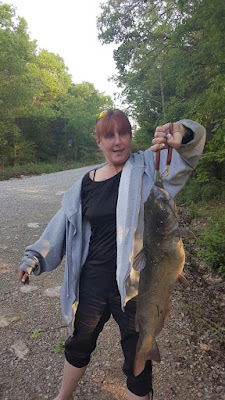 It may take several days for the fish to get used to their new surroundings, but if it is similar to past high water years the fishing will become really good. I myself have not been able to get out on the lake with all the new resort work this rain created, but I hope to get back at it towards the end or the week. I will keep you posted and give you updates as soon as I can. The Norfork Lake level currently sits at 578.65. The water temperature this morning was in the mid 60's. A lot of the lake is dirty, but you will find some nice stained and clear water back in some of the major creeks and in the southern part of the main lake.